the flicker and buzz of old neon. Tucumcari, New Mexico, 1:29AM February 29. 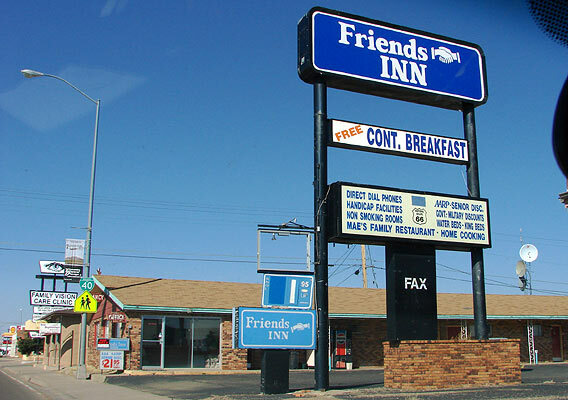 The Friends Inn motel on Route 66 is an unremarkable structure with an equally unremarkable back lit plastic sign, but it does sport these nice bits of old neon to evoke memories of family vacations gone by.